Shaughnessy has worked within the Body Modification and Tattoo industry since 2007. She attended Emily Carr University of Art + Design to further her Illustration and Design skills. With her background in Fine Arts and an interest in cosmetics, tattooing was a natural progression. In 2015, she opened Studio Sashiko with her husband, Kyle Otsuji. 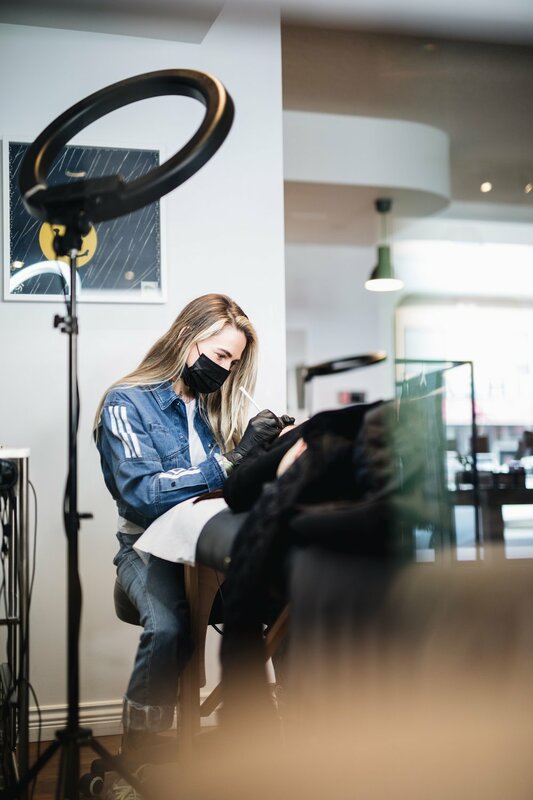 Her passion is producing natural looking eyebrow tattoos for those who have suffered from hairloss as well as areola restorative tattooing for clients who have undergone a mastectomy or breast reconstruction. She specializes in creating, enhancing, and replicating hyper-realistic features for her clients.